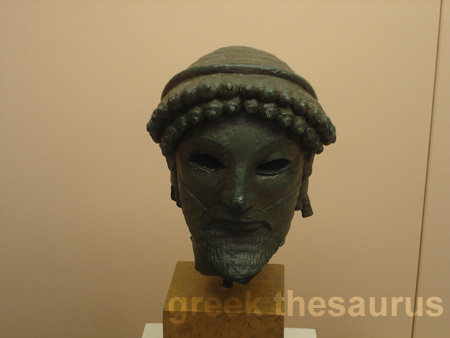 Classical period bronze art and statues images collection from greek museums Each thumbnail photo is a link to a larger version of the same photograph. 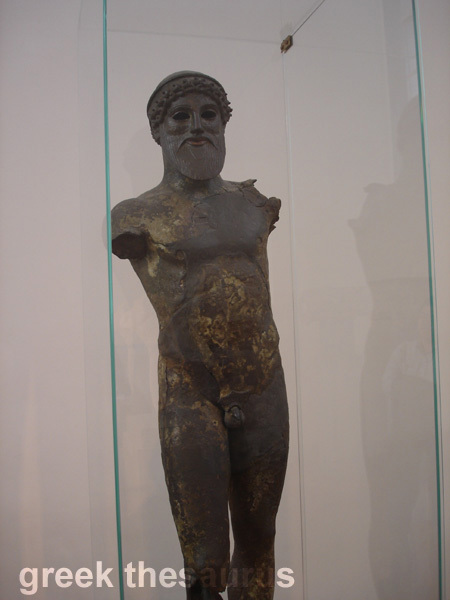 Bronze statue of Zeus or Poseidon. Found in the sea of Cape Artemision, in northern Euboea. The god, shown in great stride, extends his left arm before his body, while holding a thunderbolt or trident in his right hand. 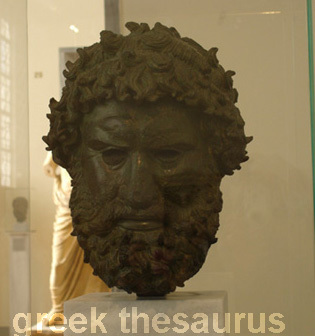 His identification as Zeus or Poseidon is controversial (the former identification is more probable). It is one of the few preserved original statues of the Severe Style, notable for the exquisite rendering of motion and anatomy. 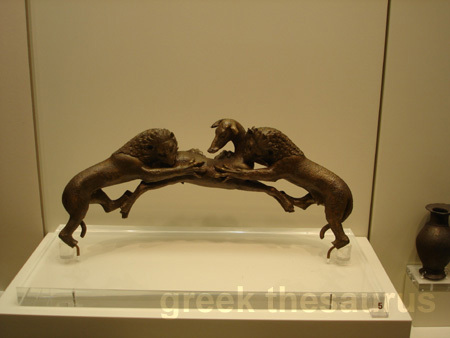 It is certainly the work of a great sculptor of the early Classical period. ca. 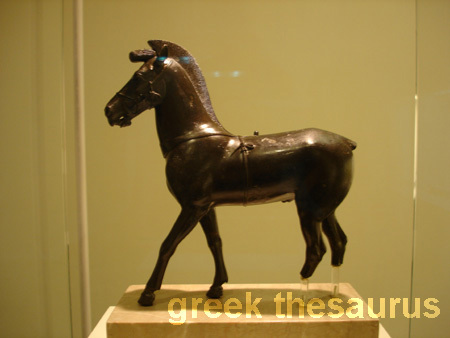 460 BC. National Archaeological Museum of Athens. 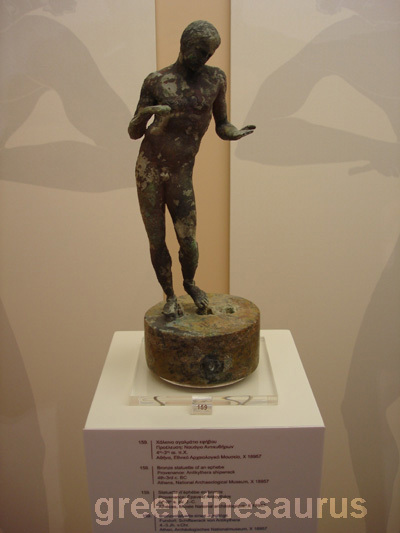 Bronze statue of a young athlete. 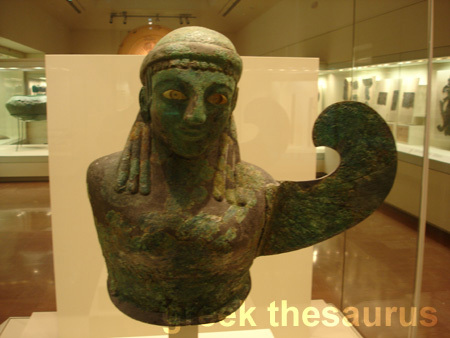 Found in the sea of Marathon, Attica. 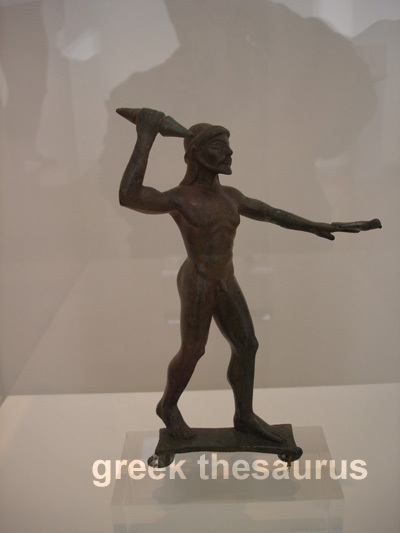 The statue probably depicts the young winner of a contest, as is suggested by the band on his head which ends in an upright leaf above the forehead. 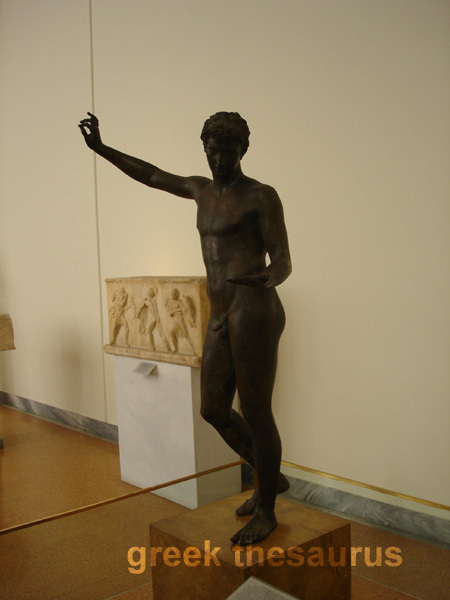 The object he held in his raised right hand is not preserved. It is also unclear what he held in his left hand, toward which he turns his head and gazes steadily. This hand was replaced, probably at a later period, by another with the palm worked in the form of a lamp. 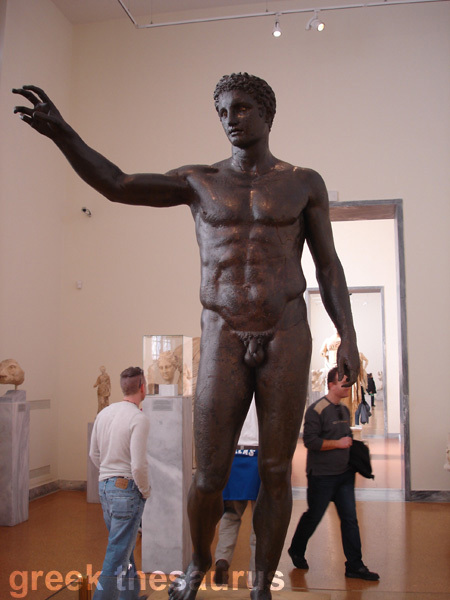 One of the masterpieces of the Late Classical period, associated with the school of Praxiteles. 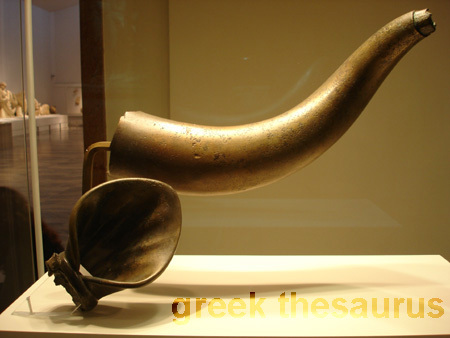 About 340-330 BC. 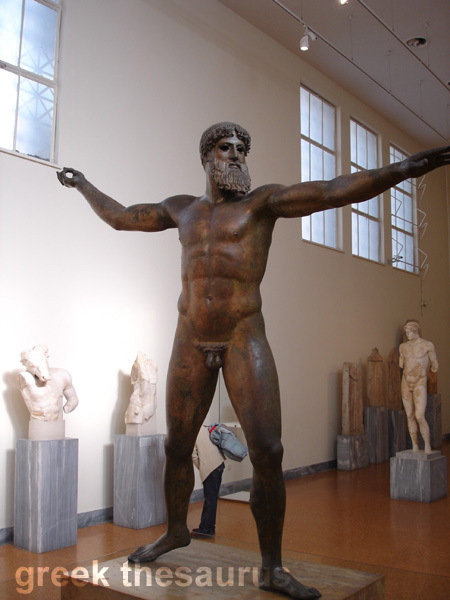 National Archaeological Museum of Athens .